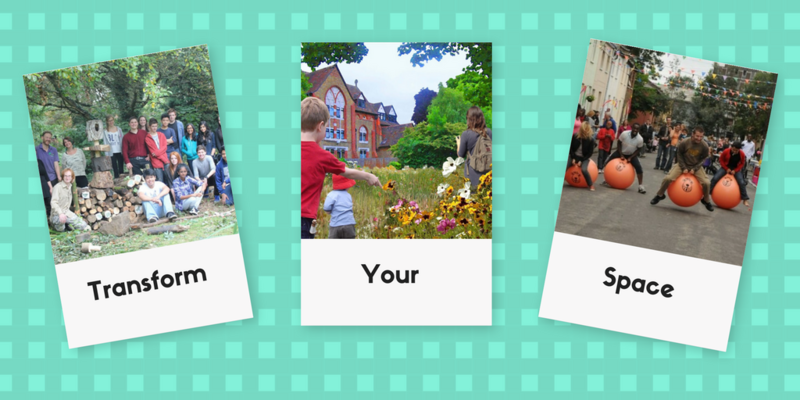 Ealing Council launched Transform Your Space to help fund inspirational projects that improve outdoor spaces within the borough of Ealing. The Transform Your Space Fund encourages residents to come up with ideas to improve where they live, gather support locally from neighbours, family and friends and to get financial help with getting their project started. This £250,000 fund is to help support projects that bring open and urbanised spaces into use for the general public. The council are looking to support as many schemes as possible – in previous years the minimum they’ve contributed was £15,000 for The Piggeries all the way up to the maximum pledge size of £75,000 for a Woodland Oasis in the Heart of Industry. 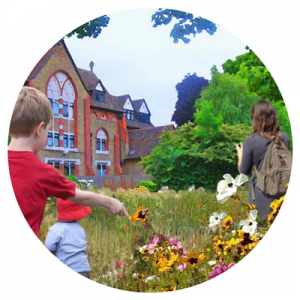 Successful projects have been delivered with residents working in partnership with the council to transform local spaces – discover some of these great projects in the Ealing Movement here and follow their example. You too can submit your idea, get the crowd to show support for your project and the help you need to turn your project idea into reality! The council is giving you the opportunity to get creative and come up with innovative ideas. As a starting point, think about where you live. Have you ever walked past a piece of derelict land and thought ‘what a waste’? Are there any underused or neglected areas near you? If you have a green or open urban space like this in mind, put on your thinking cap and see if you can come up with an idea to transform this in to a public outdoor space. The possibilities are endless! How do I get my friends, neighbours and local community to support my project? Whatever you have in mind, it is now down to you to talk to your friends, your neighbours and your local community and get them on board to support you. This is why it is so important to make sure it is something you are passionate about doing, as this will help you inspire others. To help you get started, have a look at our list of ways you can get the word out here. Now that I have the support, how do I start my crowdfunding campaign? Once you have gathered local support, it is now time to upload your project idea to Spacehive. Click ‘Create’ to get started. You will need to create an account to begin. (If you are already registered, simply enter your login details). Start creating your project by following the instructions. 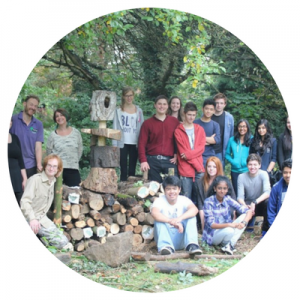 If you have any questions reach out to the Spacehive Team at info@spacehive.com. This is where you can let your creative side come through by making your project sound exciting, but achievable, to attract supporters. Remember, you will need to include “a TYS (Transform Your Space) project’ somewhere in your description. Your project must be ready for verification by the 14th of August. Verification involves checking your inspecting the project to make sure it’s viable and trustworthy. See Spacehive’s Frequently Asked questions to learn more about verification. Your project must be actively crowdfunding by the 20th of August so we can assess the support of the community for you project. We suggest that you set your crowdfunding campaign to end before Sunday the 26th of November 2017. How will the successful project ideas be decided? A judging panel, made up of councillors and senior council officers, will decide which projects have been successful using a number of criteria. Your project must show how the transformed space will make a real difference to the local community. Show that there will be community involvement after delivery, including maintenance of the space. For example would there be opportunities for local people to volunteer or become involved in other ways? Or are there innovative ideas about how your friends, neighbours and local community groups will help look after the space? Show how the project fits with at least one of Ealing Council’s priority themes of Prosperous, Safer, Healthier, Cleaner, Fairer, Accessible. The council won’t be able to support the physical regeneration of community centres – and neither will we pay for items that the council will provide as part of its ongoing maintenance programmes (for example renovation of signs, footpath and road renewal). What happens if my project is not funded by Transform Your Space 3? Don’t give up! If your crowdfunding campaign reaches its target, you could deliver your project yourself! The council and Spacehive are working with local community groups across Ealing that made submissions in previous rounds, to help turn a good idea into a great project! You will receive feedback from the council who will signpost you to other sources of help available on getting local projects up and running, such as Ealing Council’s regeneration initiatives. Spacehive also has other match-funding partners who might be able to help with your crowdfunding campaign. The Transform Your Space team at Ealing Council, and the team at Spacehive are here to offer help, advice and support. For help uploading your project to Spacehive, email info@spacehive.com. 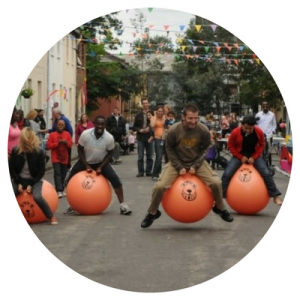 For more information about Transform Your Space 3 or questions about your project idea, take a look at Bubble or email bubble@ealing.gov.uk.